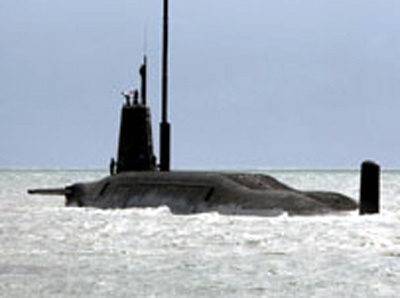 [Ainslie, John: Trident : Britain's weapon of mass destruction. Scottish CND, 1999. - 32 pp. 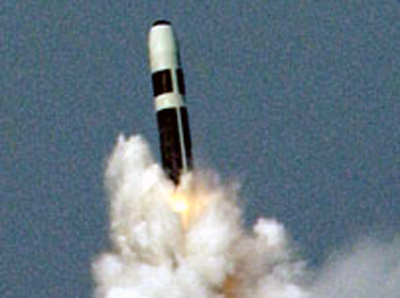 Hoon, Geoffrey: Trident Missile's Costs. January 18, 2005. - London : The Foreign Policy Centre, March 2006. Protests against Trident: Trident Ploughshares. [Author and composer: Naomi Littlebear Morena. "Old and Strong" - A favorite with womyn's groups. Apparently written by Naomi Littlebear Morena and is adapted from the song/chant "Like a Mountain". A recorded version of it appears on Moving Breath's CD She Changes ©1991. Hear You can't kill the Spirit sung by Naomi Littlebear Morena. Hear You can't kill the Spirit from single record. 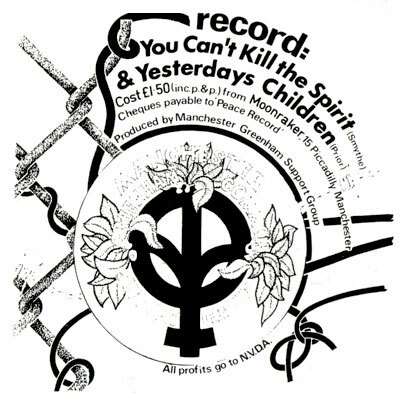 Produced by Manchester Greenham Support Group [1983?]. Source: Tape in the file of Ulla Moltved. In the USA ... Naomi Littlebear Morena. Spare Rib No. 142, May 1984 pp. 27-28. Naomi Littlebear Morena, a Chicana feminist musician who wrote the peace song 'You can't kill the spirit, she's like a mountain, Old and strong, She lives on and on', is planning a European concert tour in May/June 1984. She'd like to be put in contact with local women's centres, women's peace groups, women's groups working on racism and social justice, women's bands and theatre groups and the like so she can arrange benefit concerts on her tour. J: How did you discover that your song 'Like a Mountain' has been adopted by the women at the Greenham Common peace camp in England as a theme song or anthem? N: Well, a friend of mine at work called me up and said she had heard thousands of women singing 'Like a Mountain' on a radio report about the peace camp. This was the time when 30,000 women came to Greenham to surround the missile base. Gradually, after that I kept getting more and more' people coming up to me with information and I kept finding out more about it. Betty McFarlane, a Portland peace activist, approached me with the idea - of going to Greenham Common to sing my song with the women there. She started a campaign to collect money to send me there. J: How long do you plan to be in Europe? Will this be a concert tour besides the Greenham Common visit? N: The tentative plan is for at least one month. I think I'd like to work with women's choral groups there and other women musicians in Europe so they can participate in this exchange as well. It would be nice to have a strong back-up of local women to present the music. I want to have more intimate connection with the women there than a mere concert situation allows for. J: Beyond your musical endeavours I know that you are a writer and a poet. Have you been publishing your writings lately? N: Yeah.l've been working as co-editor of an issue of Calyx that will be made up of writings of Native American and Latina/Chicana women that will be coming out soon. I'm getting more in touch with things I've never written about before - about the racist experience and understanding how I've assimilated these experiences into my personality. I've been writing quite a lot. These writings will be in book form and hopefully will be finished in the fall of 1984. It will be about growing up in a racist society. It's more narrative than any style of writing that I've done before. The only books I've read lately are books by women of color. I've been real inspired by the books black women writers have been comming out with. I quess the inspiration has been growing from there. [Nicolson, Annabel: Greenham Common: In Performance magazine, 1982. [Kathy Jones: Goddess in Glastonbury. 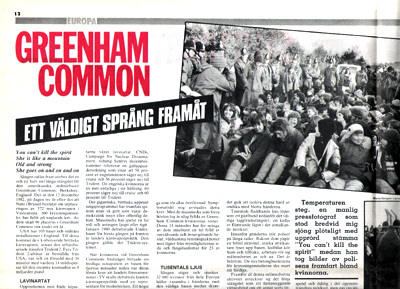 5 Newspaper articles about Greenham Common.